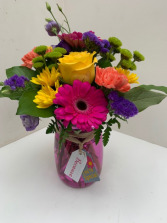 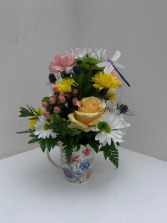 A garden inspired mix with long lasting pastel fresh flowers! 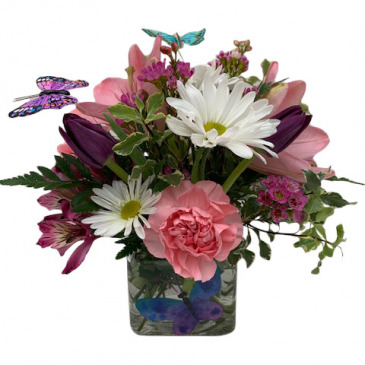 Including daisies, hypericum, green buttons, and blue thistle accompanied by a beautiful dragon fly. 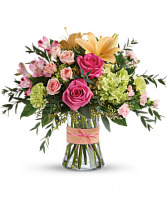 Make mom's heart soar as high as a monarch this Mother's Day! 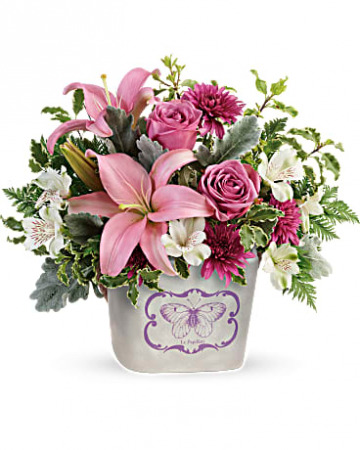 This special gift of lavender roses and pink lilies is sweetly presented in a ceramic planter with charming butterfly detail and rope handle. 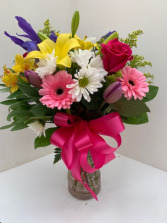 There's just something about the way beautiful flowers can make someone's day perfect. 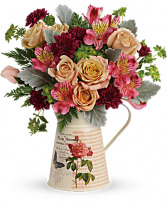 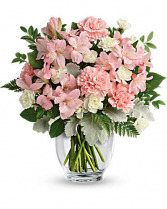 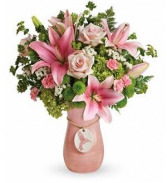 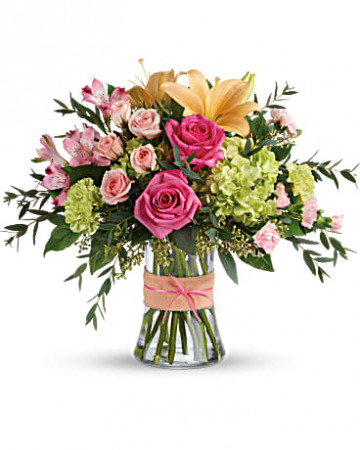 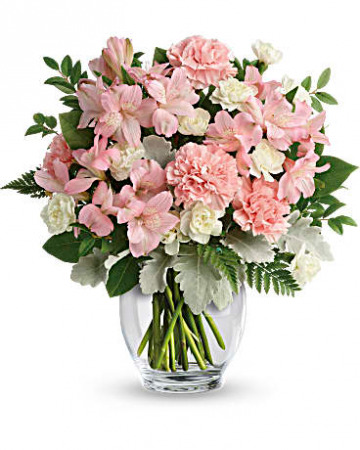 This bouquet combines hues of pink roses, light pink mini gerbs, iris, and tulips, to send a sweet message. 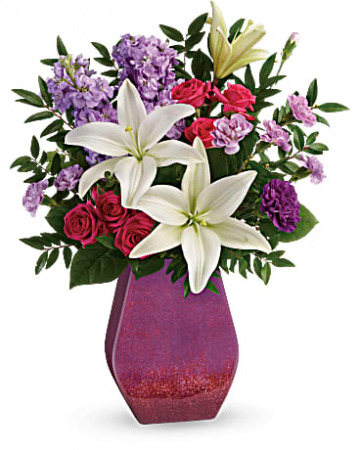 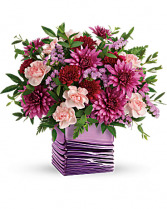 This arrangement is a great way to show mom how magnificent she really is! 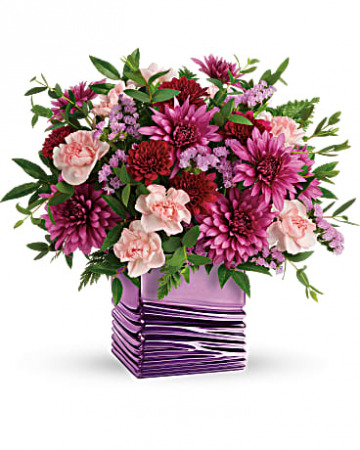 Turn up the glam this Mother's Day with this magnificent mirrored cube, bursting with a lush bouquet of soft pink carnations and purple mums! Its silky finish and peaceful waves are sure to enthrall her.